It is a long exhausting climb. But once you reach the top, you are greeted with what looks like a small temple and the flat hilltop made of a rocky carpet. You can pick up any boulder of your choice and lounge on it to admire an awesome views it offers. 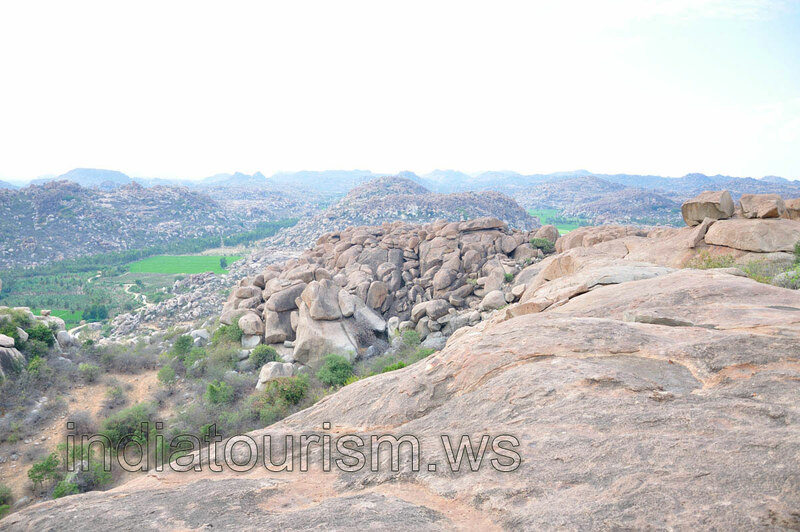 Hire a bike from Hampi to reach here, it is quite close. There are plenty of rickshaw drivers also. They are ready to drive you here.